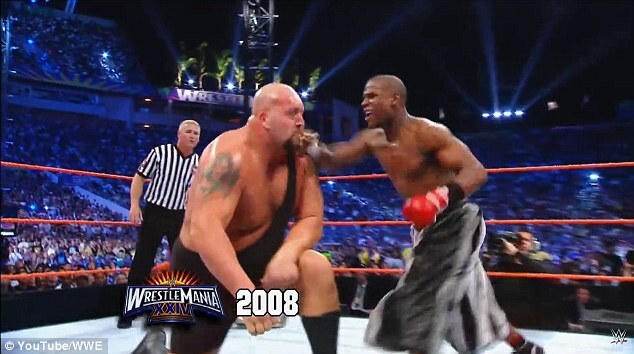 Following the news that Floyd Mayweather will return to the ring to face UFC star Conor McGregor, we look back at when the Boxing star switched codes to face WWE wrestler Big Show. 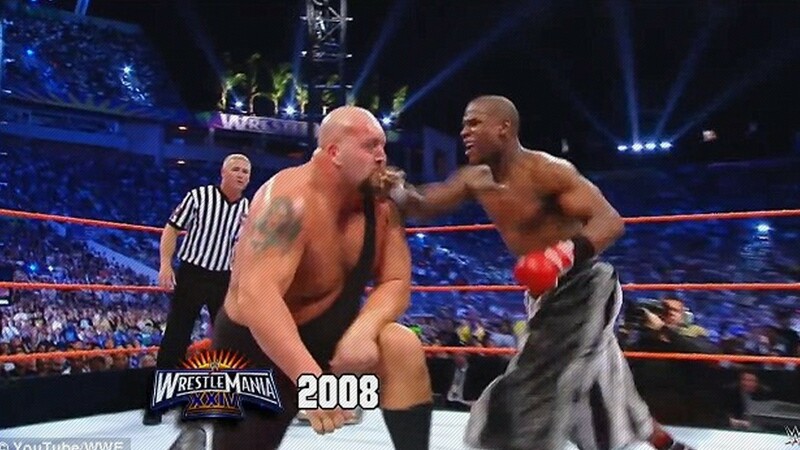 Former multi-division world champion Mayweather fought and defeated wrestling giant Big Show in a No Disqualification wrestling match in front of nearly 75,000 people inside Orlando’s Citrus Dome at WrestleMania 24 in March 2008, which turned out to be the WWE’s biggest show that year. The fight exploded into life when Mayweather threw a series of hard-hitting punches towards Big Show before ‘Money’ and his accomplices quickly exited the ring. The wrestling star managed to get Mayweather back into the ring, but as he was about to chokeslam ‘Money’, he was struck by a steel chair. 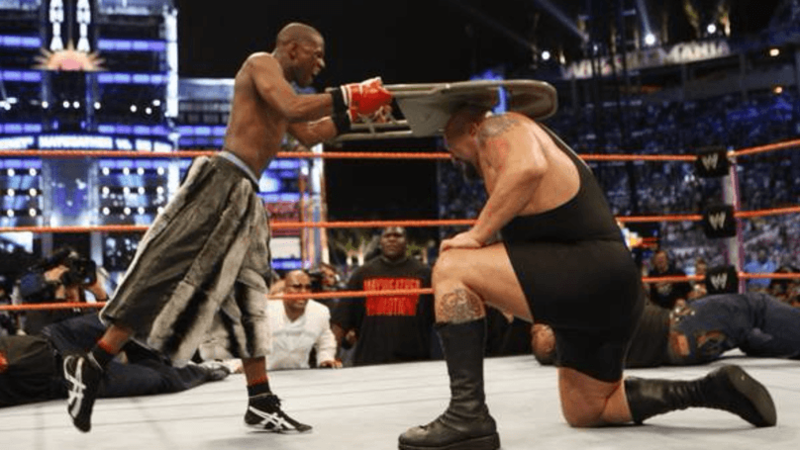 Mayweather then grabbed that chair and hit Big Show multiple times on the head before he removed his right glove and put on a pair of brass knuckles to hit the wrestling giant in the face. As a result, Big Show was knocked out as he could not answer the referee’s 10 counts, and Mayweather was declared the winner. The also show drew over one million PPV buys, grossed a record $23.8 million in revenue, and brought in $5.85 million in ticket sales (a Citrus Bowl record). In reality, McGregor-Mayweather will most likely eclipse those numbers but they will have to put on one hell of a show to top this classic battle of David vs Goliath. It has been confirmed that Mayweather will fight UFC lightweight champion Conor McGregor in a boxing match in Las Vegas on August 26.